Eurasian Journal of Soil Science is the official English language journal of the Federation of Eurasian Soil Science Societies. It has been published twice a year from 2012 to 2013, it is published quarterly since 2014. Eurasian Journal of Soil Science is a peer-reviewed open access journal that publishes research articles, critical reviews of basic and applied soil science in all related to soil and plant studies and general environmental soil science. The journal publishes original papers on global and regional theoretical and experimental studies on soil science. The Journal publishes full length papers, short papers, and reviews. The abbreviated title of Eurasian Journal of Soil Science is Eurasian J. Soil Sci. This abbreviation should be used in bibliographies, footnotes, references and bibliographic strips. 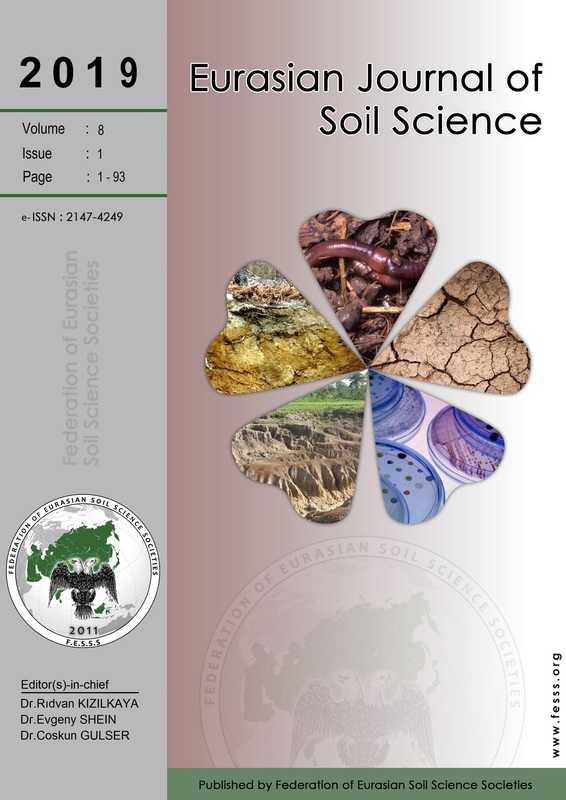 The Federation of Eurasian Soil Science Societies, as joint publishers of the Journal, reserve all rights for the complete or partial reproduction of the materials published in Eurasian Journal of Soil Science. The right to reproduce material that is subject to copyright must be obtained from the authors, who should notify to the editorial office of Eurasian Journal of Soil Science.